My fabric stash has been piling up lately and I decided to use many of these fabrics in my latest project. Going through your stash can be quite distracting, so I worked quickly, just pulling random bright colours to create a scrappy design. I find there is a magic to picking fabrics at random and combining them into new designs. 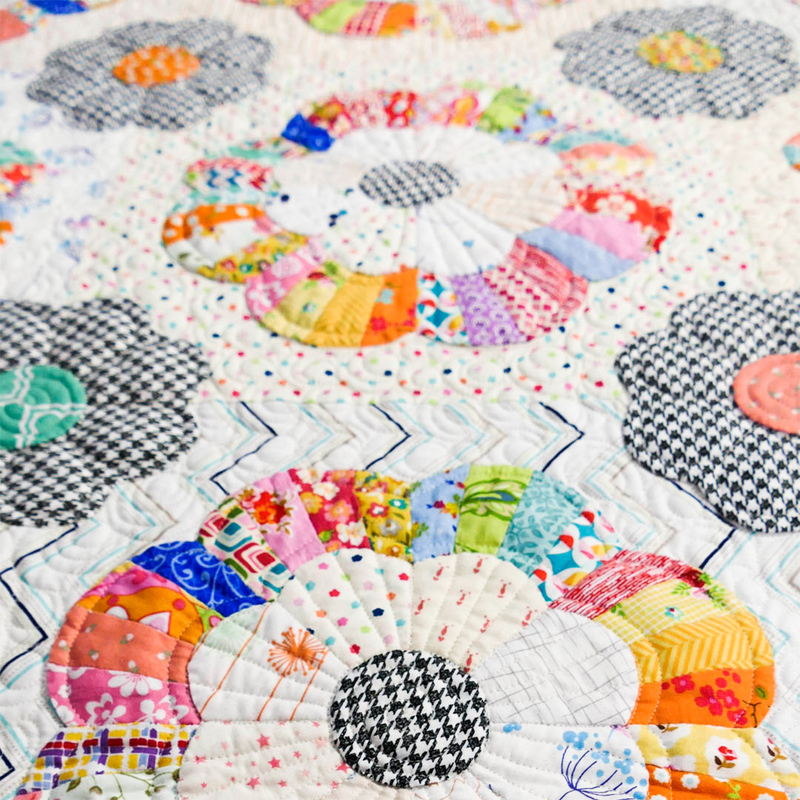 Scrappy quilts are my most favourite of all quilts to make. You can have so much fun putting fabrics together. 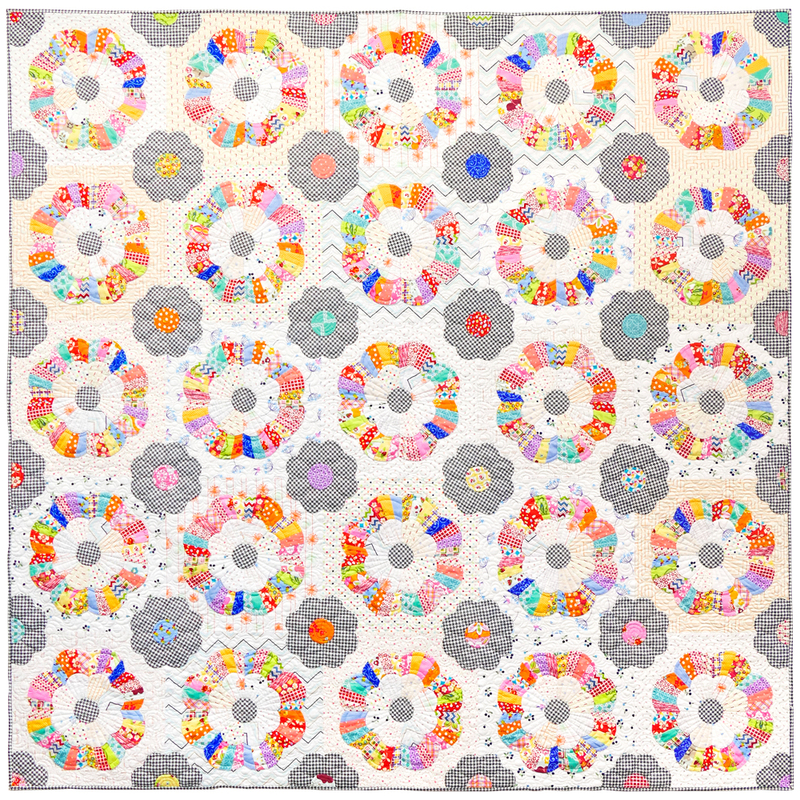 For this new quilt called Windchime I created two new paper shapes called Daisy Yin and Daisy Yang. 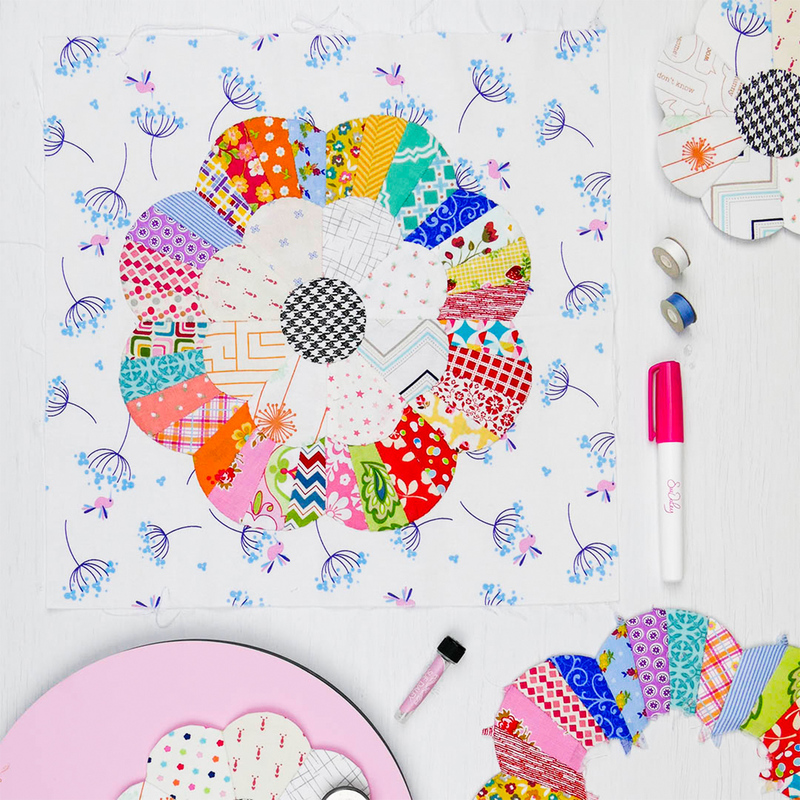 Together they create a beautiful flower ring which I appliqued chubby Dresdens on top of. 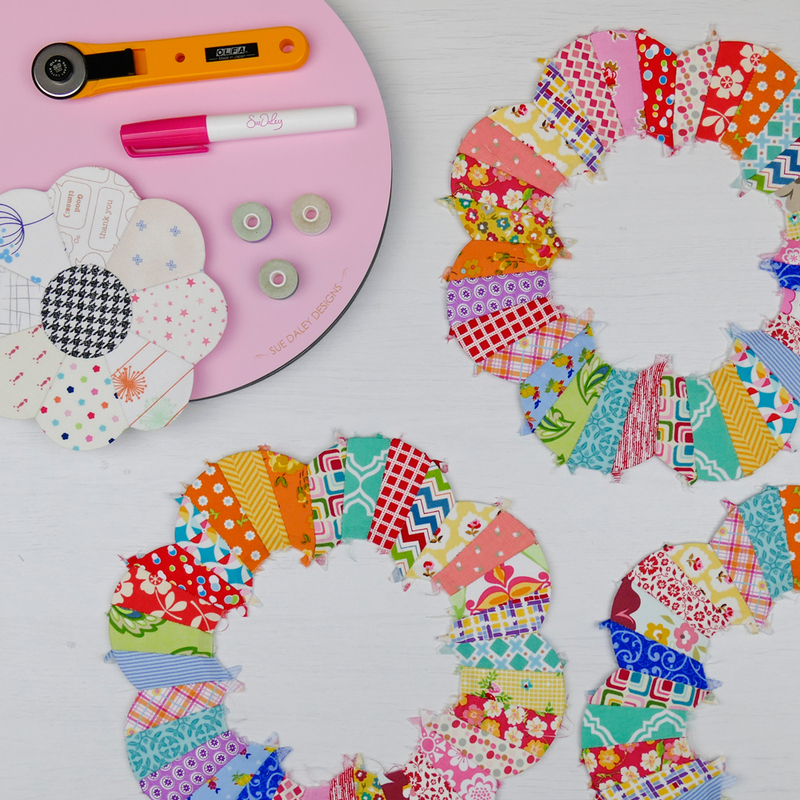 I personally think these Windchime blocks could be a cute mini-quilt! Both Daisy Yin and Daisy Yang are available as papers and templates from Sue Daley stockists. 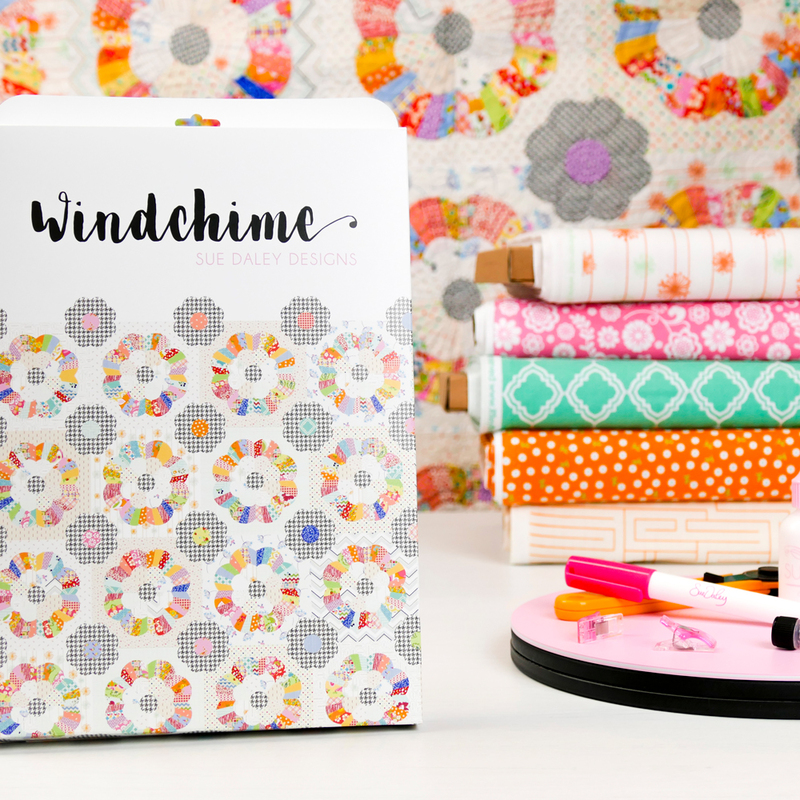 My fabric choices for Windchime include a combination of bright fabrics and low volume fabrics with a ‘zinger’ fabric to make the design pop. The small black Houndstooth I used was perfect for Windchime. It was exactly what the quilt needed to pop. Working with low volume fabric allowed me to add colour and texture to Windchime without overpowering the design. Low volume fabric also made the brighter fabrics combine together seamlessly.